…if you are looking for a freelance translation-themed cartoon, especially now that Mox’s Blog is quiescent, check out Tina and Mouse, a (minimalist) comic on translation: many freelancers will see themselves reflected in it. SDL has just released Studio 2014 SP2. This upgrade no longer relies on Java, and should therefore fix all Java-related issues that have plagued the use of MultiTerm in Studio. So, thank you to SDL for finally fixing the Java problem. Lower word count. Studio no longer treats apostrophes and dashes as word separators, but as punctuation marks that link words together. This means that Studio counts elements like “it’s” or “splash-proof” as one single word. I can see why certain translation agencies would consider this as an “improved” algorithm, and welcome such a misfeature (just another way to pay those pesky translators less). But why should translators consider this as an improvement? As you can see, a translator who used to be paid based on a Trados 2007 word count would concede to the translation agency a 5.1% discount just by using 2014 SP2 instead. The others who were left in the keep—men, women and children—were killed. According to MS Word, these are 18 words: it counts as single words “it’s” and the two hyphenated terms “mid-16th” and “Prince-electors”; however, it correctly counts as separate words “keep” and “men”, “children” and “were”. According to Studio 2014 SP2, however, these are 16 words: Studio 2014 SP2 is not only counting as single words “It’s”, and the two hyphenated terms, but it also counts as single words those that are separated by an m-dash. Studio 2014 SP2 uses an improved algorithm for processing words that contain dashes (-) [...] This means that Studio counts [...] “splash-proof” as a single word. “Splash-proof”, of course, does not contain a dash: it contains an hyphen, and the distinction is important, especially when not knowing the difference between a dash and an hyphen results in a lowered word count. However, my test confirms that this is not the case: try copying "The others who were left in the keep—men, women and children—were killed" into a word file, and run an analysis in Studio 2014 SP2: you'll see that the two dashes are counted as hyphens, and that the word count for the sentence (which contains 14 words), indicates 12 words. Imagine translating without the help of the Internet – or the computer for that matter. 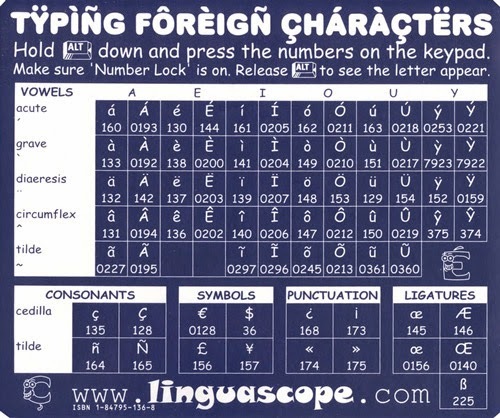 The tools that have become indispensable to today’s translators haven’t been around all that long. 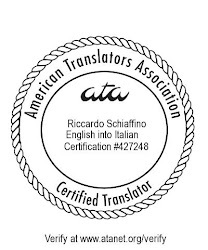 Today, we talk to a translator who has witnessed the changes in our industry over the past three decades: Riccardo Schiaffino, an ATA-certified English into Italian technical translator and president of Aliquantum, Inc., in Denver. Smoke & Croak, a multilingual digital marketing agency, have just released an interactive infographic with a step-by-step guide to SEO for websites targeted at an international audience. Each step includes links to resources and guides about SEO (Search Engine Optimization), from SEO basics for beginners and to elements which are more specific to international SEO. While the infographic is not exclusively aimed at translators, it could be useful for translators looking to improve their visibility on search engines in different countries. Kilgray's is currently offering memoQ at a 40% discount; the offer is available until June 2, 2014 (or until there are still licenses offered at that price - only 4 remain as of this post). In this promotion you can buy a memoQ translator pro license for 372 EUR or 462 USD instead of 620 EUR or 770 USD. If you buy a memoQ license now, the price includes a full year of upgrades and support, a ten-lesson online course, and also a free copy of Kevin Lossner's e-book "memoQ in Quick Steps: Configuration". If you are interested in Déjàvu X3, instead, you still have two days to take advantage of a 20% discount (if you do, you need to enter the code CREATIVITY. Click here for a link to the Atril web store. NOTE: From time to time I post these links to software or discounts that may be of interest to other translators. When I do that, it's on my own initiative: I'm not surreptitiously selling ads on this site. After a successful beta test, ApSIC announced today the official release of the ApSIC Xbench Plugin for SDL Trados Studio 2014. QA Studio projects with Xbench just with one click from the Studio ribbon. Instantly edit any issues found by Xbench right in Studio, with all Studio project settings in place. It also makes it even easier the use of Xbench's powerful search to look into the translation memories (and other resources) you have loaded in your project. A very useful feature, considering the deficiencies of SDL's own concordance search. The plugin for Studio is a free add-on and requires ApSIC Xbench 3.0 build 1186 or later and SDL Trados Studio 2014 SP1 or later. Remember: the plug-in is only available for Xbench 3.0 - another excellent reason for upgrading to the new version of the program. Will SDL ever learn the difference between letters and words? I have been using translation memory tools for about twenty years now. More and more, I’ve come to the conclusion that their most useful feature is not the ability to offer fuzzy and perfect matches (useful as they may be), but rather the concordance search, which can suggest previous translations from segments that are not similar enough to the one you are working on to qualify for a fuzzy match. And this is why I get so annoyed with SDL: they think that if the memory does not contain the word you are looking for, it is useful to show you words that sort of look like it. This is not useful: if I don’t have a word in my memory, I want the concordance search to clearly show that. I don’t want it to show me words that, since they contain most of the letters in the word I’m looking for, are considered by the algorithms used by SDL to be similar enough. Not only this is not useful: it is positively annoying and harmful: if the program does not show any concordance, I just go on with my translation. If it shows a bogus concordance, I waste some precious time before I realize that the help I’ve been offered by the program is crap. Case in point: I’m translating some marketing copy about watches, and wanted to check in my memory how I had translated previously the adjective “striking”. Turns out I had not translated that word before, but instead of indicating that no match had been found, Studio offered as suggestions “ticking” and “training” (with “ticking” considered as a 79% match for “stricking” and “training as a 75% match). A memo to whomever designed the concordance matching algorithms used by Studio: if two words are not the same, they are not a match for each other: not a 79% match, nor a 75% match. Don’t waste our time with bogus matches that are no help at all. If you are planning to buy déjavu X3 (or upgrade to this new version), Atril is offering a 20% discount until May 30. To take advantage of the discount, used code CREATIVITY in Atril's web store. I have good memories about the early versions of déjavu, and of the outstanding service Emilio Benito provided: I was one of the very first users (I think that the serial number on my diskette was as 27), but I haven't used the program in over twenty years now. Still, it's good that SDL and Kilgray still have competition. Once again, the bab.la language portal and the Lexiophiles language blog have chosen various blogs, facebook pages and twitter accounts as candidates for the "Top 100 Language Lovers 2014" list. About Translation has been nominated in the "Language Professional Blog" Category. If you prefer another language professional blog (there are many good ones from which to choose) you can go to the bab.la site, and vote for your favorite. The voting phase lasts from May 20nd to June 9th. During this period, everyone can vote for their favourite language lovers in the five social media categories. The final results will be based on Lexiophiles’ ranking criteria (50 %) and user votes (50 %). The winners will be announced on June 12th. The next World Cup is rapidly approaching. If you need a soccer dictionary to help you translate from English into Portuguese, or from Portuguese into English, one has recently been compiled and published by Humberto Ramos and Rhonda Abigail Bennett Henry-Ramos. Our “Bilingual Dictionary of Football (Soccer) Terms in English/Portuguese and Portuguese/English” is available as an e-book on the international market. This publication can be purchased at major online retail stores, such as Amazon and Barnes and Noble, and can be read on e-readers, computers and smartphones. Our dictionary contains a vast array of football and football-related words and expressions in English, as well as Brazilian Portuguese. It also provides many pertinent explanations. The terms present in this publication are used on a daily basis in the world of football (soccer), on and off the field. They are also utilized by the press in their commentaries and analyses of the game. This bilingual dictionary is, therefore, an excellent tool for football managers, technical staff, football players, journalists, commentators, translators and interpreters, football aficionados, and all persons who will come to Brazil in June 2014 for the biggest world-footballing event. The new dictionary is available as an e-book for $ 9.99 from Amazon and from Barnes and Noble. 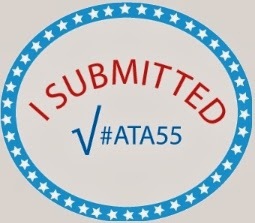 I have just submitted my presentation proposal for the 55th ATA Conference. If the ATA accepts my proposal, I'll give an advanced-level presentation on Xbench for Translation Management and Translation QA. Our tiny translation company does not advertise for translators, since we do most work internally or with the help of a small group of trusted colleagues. Yet, every day I receive on average a dozen messages from translators offering their services for various language combinations. Unfortunately, most of these messages are written in a way that ensures they end in the junk mail folder. Find out who they are and to whom your message should be addressed. If you are sending your message without specifying to whom it is addressed, your message will be treated as spam. If most of your prospects are translation companies, find out if they prefer new translators to contact them by email: many translation companies prefer candidates to fill a form on their website. If that is their preferred way to collect information from freelancers, usually contacting them by email instead is a waste of time. Find out what kind of translations they do. You need to know what specializations they need from their translators. 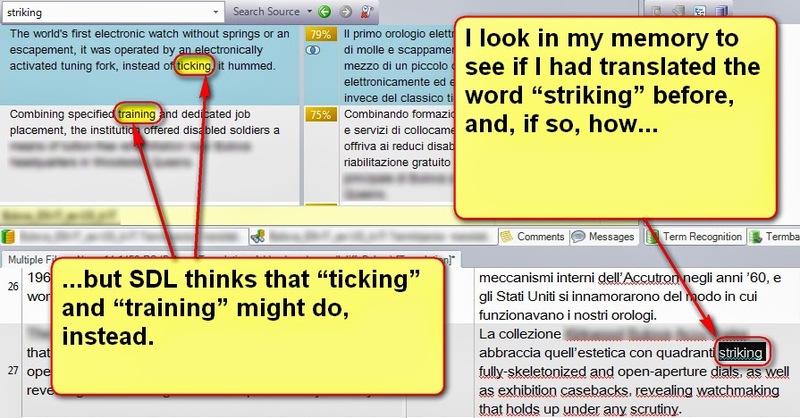 This will help you craft a more targeted and more successful message: for a translation company it is much more interesting to receive a message that says “I’m an English into Italian translator with a degree in mechanical engineering and over ten years’ experience translating maintenance manuals for naval turbines” than a generic “I translate from English French, German and Portuguese into Italian”. Keep the Subject of your message brief and to the point. Write your message very carefully. If you are writing in a language that is not your native one, I recommend you have a native speaker edit it. Remember: the purpose of your message is to entice your prospect in opening your résumé. Don’t say that you translate from your native language into a foreign one. Write your name and language pair in the heading of your résumé. For example, “Mario Rossi, English into Italian translator”. No more than one page if you don’t have extensive experience, no more than two in all other instances. Don’t include your rates in your email message or in your résumé. Talking about rates comes later. Providing them, if asked, comes later. Make sure your résumé is written flawlessly. Again, if it is not in your native language, consider having it edited by a native speaker. Localize your résumé for your target market. For instance a résumé for a French prospect should include your photo, but a résumé for an American company should not. Make sure your résumé contains all the necessary information, but no irrelevant details. If you have minimal experience, it’s OK to include in your résumé information about other kind of work, but, as soon as you do gain some translation experience, remove the extraneous information. Make sure that all the information you provide in your message and in your résumé is verifiable. What you should not include in your résumé: personal information such as your age or marital status (normally: see above – if a résumé for your target market usually does include such information, use your best judgment about whether to include that information or not). Also not to be included: your hobbies and personal interests. An exception to this is if your hobbies contribute to your specialization. So “I am a passionate skier, and I have competed at international level. This experience has helped me when I translated technical manuals for Rossignol” is OK, while “I like reading and classical music” is not. Remember: it’s you who decides what your rates are, not the translation companies. Conversely, translation companies are free to accept your rates, reject them, or try to get you to lower them. It used to be that, in order to have a more immediate discussion, you could leave commenting open on a blog. Then spam comments begun to appear. At first they were an infrequent, minor nuisance, and a bit of clean-up once in a while was enough for keeping a blog clean. Spam comments grew in frequency, which lead many bloggers to impose stricter moderation policies. In this blog I started by leaving all comments open, but after a few years I had to impose moderation on all comments older than a certain date. Still, I tried to keep open commenting for the most recent posts. But spam comments now have grown to the point that even for the most recent posts it is necessary to moderate all comments. I’m sorry for this, but I now have to direct all comments through the moderation queue. 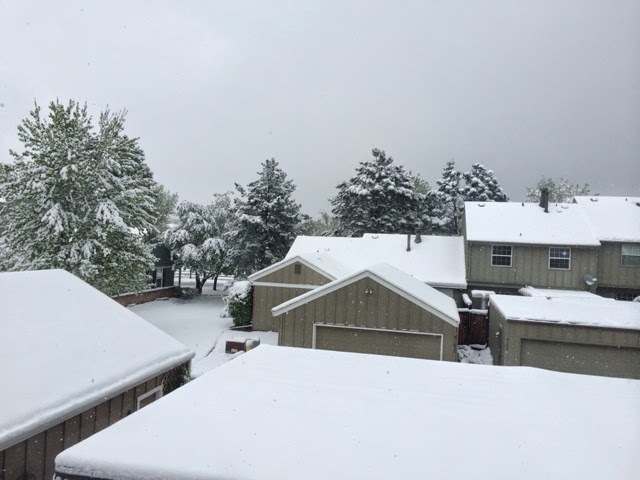 I’ll try to post all legitimate comments as soon as possible, but some will end up being delayed – especially if they are written when I’m not at the computer. 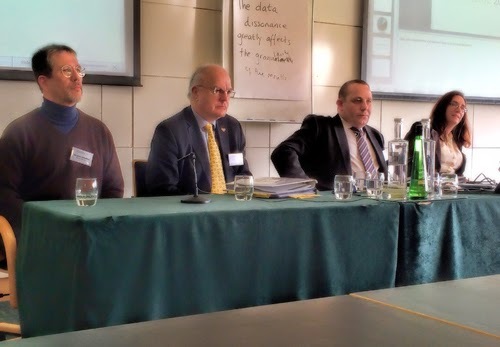 First of all, thanks to Riccardo for inviting me to write a guest post about the Stridonium conference in Cambridge this year. For readers who aren’t familiar with Stridonium, it was set up in 2009 as a venue for professional language specialists. Originally a private site for professional exchange and support for translators, it is now exploring alternatives to further the interests and raise the standards of the translation sector. Most of the Stridonium site is open to members only, but you can get more information by visiting our Home Page, or our Mission Statement. Stridonium will host this conference on 24 March 2014 at the Møller Centre in Cambridge. The aim of the Stridonium conference is to engage with businesses. It will emphasise to an audience of businessmen and language specialists the importance of getting language right and – maybe more importantly – point out the pitfalls of getting it wrong. When corporations spend so much time, money and effort on texts in their own language, isn't it only logical that they be as meticulous about the quality of communication in other languages? Unfortunately, as many of us know, that doesn't always follow. Translation in particular is too often an afterthought or an “add-on”, with everything from marketing texts to crucial legal documents being bundled off unceremoniously by a hapless secretary to the first translation agency she can find on Google. So this conference will help businesses and at the same time raise the profile of quality services as a distinct segment within the language industry. It will emphasise the benefits of giving language higher priority, getting the right language specialists on board and making them a more integral part of the team and the process. With more and more companies trading across borders, this message has never been more important. All of our speakers will draw on their wide knowledge and a wealth of anecdotal experience to illustrate the importance of using the right words – and the consequences of using the wrong ones. In the last afternoon session we will wrap up by offering businesses practical information on how to procure language services, what to look for and where to look. Currently Xbench 3.0 is offered at a 50% discount (until January 10th). You can order it from Xbench.net. This is an especially enticing offer for all users of SDL Studio 2014: Xbench is soon going to launch a Studio Add-in that permits, among other things, to launch a QA session of a Studio project from within Studio. The Add-in also lets the users directly access the segments to correct (i.e., when selecting “Edit Source”, Xbench will open the translation in Studio and jump directly to the segment that needs editing). The Add-in is currently available as a public beta from the download page of the Xbench website.